These tools include the RRSP and the TFSA. While they haven’t always been RRSP eligible, gold and silver can now be part of both your RRSP and TFSA. 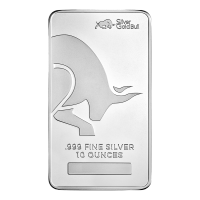 You have to buy silver through an appropriate agent to make it part of your RRSP, but at Silver Gold Bull we have a partnership that makes it simple for our customers to find the silver coins and bars that are TFSA and RRSP eligible. The main difference between an RRSP and a TFSA is when you pay taxes. With an RRSP, you defer paying taxes on your contribution until you withdraw it. It reduces your tax bill this year. The idea is that it reduces your tax bill now and you will pay lower taxes on it in the future when you’re retired and in a lower tax bracket. If you earned $80,000 this year and contributed $10,000, you would only pay income tax on $70,000. The other $10,000 is invested and grows. When you withdraw it after retirement, you’re in a much lower income tax bracket. A TFSA does not give you any tax break right now, but it means your investment gains will be tax free. When you contribute to a TFSA, interest, dividends, and capital gains are tax free. Your withdrawals from a TFSA are tax-free. Some suggest that investors who make a median or less-than-average income are better off skipping an RRSP altogether and only contributing to a TFSA, since there may not be a substantial dip in their income when they retire, but that’s best discussed with a financial advisor. 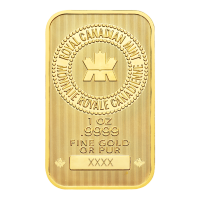 In addition to these gold and silver coins, other bullion products that are at least .995 pure gold or .999 silver bullion may be accepted. These other coins must also be made by either a regulated financial institution (such as a mint) or an accredited refinery (so some silver rounds may be accepted). 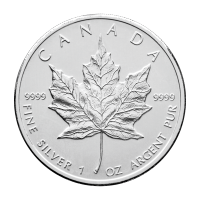 The Canadian Silver Maple Leaf has a .9999 silver purity and the premiums are generally lower than the American Silver Eagle. It’s important to know that collectible silver coins are not RRSP eligible. The value of the silver coin must derive from its silver contents, not any kind of numismatic value. Before you start debating an RRSP vs. TFSA, ask yourself why buy silver and what your goals are: collecting or long-term investment? As long as silver remains part of your RRSP, as with any investment, you don’t have to pay taxes on gains. That only happens when you withdraw the money. When you do withdraw both contributions and gains from your RRSP, you will pay taxes at your present income bracket, which is why it’s a better investment for those who don’t plan on using it until they retire. Your silver gains will be the difference between the live price of silver on the day you withdraw and the price when you bought it. The reason the TFSA is such a compelling investment tool is that you don’t pay taxes on your gains, either when they are in the TFSA or when you take them out. Given how long investors at Silver Gold Bull tend to hold onto precious metals like gold and silver, and how the precious metals tend to appreciate over time, many investors are surprised by the tax bill when they sell. A TFSA reduces that tax bill. Look no further than us when you want to know where to buy silver as part of a TFSA; we make it easy to buy gold and silver through a TFSA or RRSP. 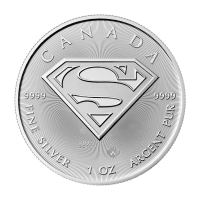 Silver coins in Canada are exempt from HST if they are investment-grade silver bullion coins. Silver coins made from silver bullion are intended as investment products – tools you can use to grow your savings. 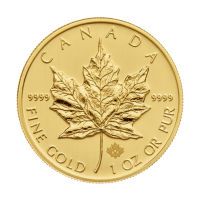 Silver Maple Leafs, silver bars, gold coins, bars, and wafers, and platinum bars, are all exempt from HST. 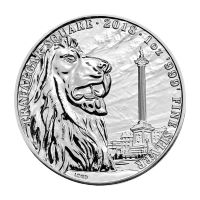 Silver collectible coins of less than .999 purity are considered retail goods and are charged HST. The HST on your collectible silver coins will be added at checkout or you can handle paying the taxes yourself. 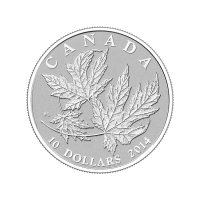 The sales tax exemption on silver coins is one of the biggest advantages to buying silver coins in Canada. In Europe and many states in the U.S., sales taxes are applied to silver and gold coins. Some states require you to spend over $1,000 or $1,500 for your silver bullion purchase to be exempt from sales taxes. Choosing whether to invest through a TFSA or an RRSP, or how much you should invest in both, is a conversation you should have with a financial advisor. Once you know which way to go, you can buy precious metals online through your RRSP with us. The tax advantages you want will depend on your income, your future financial goals, and your investment strategy. 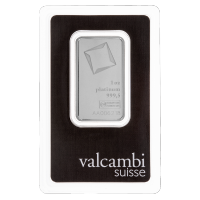 Check out our inventory of RRSP eligible silver bars and coins and talk to us.